Ideal for micro sealing, Victor Reinz® elastomer coatings use only high-quality fluoropolymers. Through controlled sealing pressure, these coatings fill and adapt to engine block and cylinder-head surface roughnesses, scratches, and porosities. Available coatings include full surface and partial coating. This coating ensures reliable sealing, even with problematic surfaces. 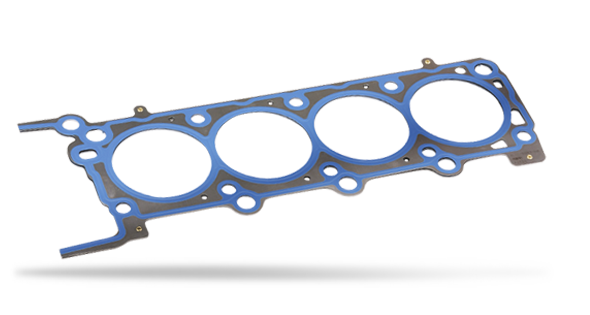 During this process, the active spring steel layers of a multi-layer steel cylinder-head gasket are coated on both sides with elastomer layers, with thin coatings for micro sealing between the individual layers. Withstanding temperatures up to 240°C, it provides excellent chemical resistance toward aggressive media such as combustion gases and coolant additives.